Tattoo Cleethorpes - Indy N Ink. Tattoo Louth - Indy N Ink. Getting your first tattoo can be a daunting process. 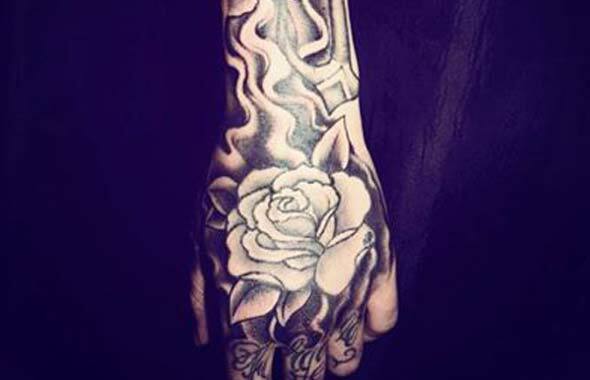 Here at Indy N Ink, we provide a bespoke, specialist tattoo service across Louth and Cleethorpes, with a unique approach which has ensured our popularity amongst first-timers and old-timers alike. When you come to Indy N Ink, you will be able to sit down and talk with an experienced tattooist about your ideas and requirements for your artwork, and any fears and reservations you may have. 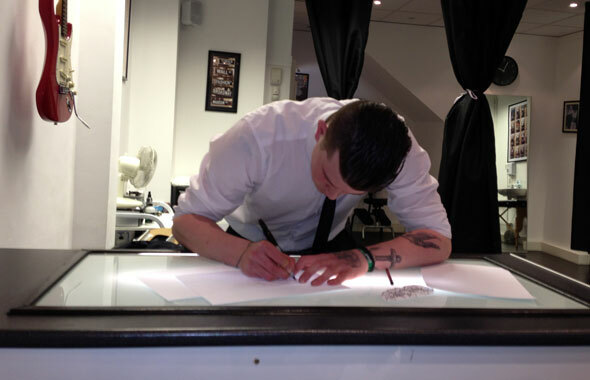 All of our tattooists will take great care to ensure that you feel at ease and that you receive the tattoo you desire. We want to make sure that every client who leaves our studio is 100% happy with their new body art, and that may be why we’ve gained thousands of customers in Cleethorpes, Louth, across the country and internationally. Over the four years since we’ve been established, we’re proud to have performed over 7000 tattoos, with clients coming from as far afield as France. We can perform almost any type of body art, from small, one-off pieces to large scale custom colour designs which take weeks of methodical design and planning. As well as providing a bespoke service, we take care to provide a service which is healthy and hygienic. We minimise the risk of infection as much as possible, by using disposable products and careful sterilisation, and provide comprehensive aftercare on completion of your new design. If you’re based in Cleethorpes or Louth and would like to speak to one of our skilled tattooists, please call us on 01472 230411 or contact us online. Indy N Ink are easy to get to via all modes of transport as we are based at a prime location right between Barclays Bank and Marks and Spencers in Grimsby Town Centre. Our address is 1 Brewery Street, Freshney Place Shopping Mall, Great Grimsby, DN31 1DL. By Car - Please follow Frederick Ward Way to Freshney Place Multi Storey Car Park and then follow the Mall Store Guide to locate us. By Rail - Please exit your train at Grimsby Town Train Station and walk from the front doors to Bethlehem Street, cross the road at the pelican crossing and walk across in to Bull Ring Square where you will see the West Entrance to Freshney Place Shopping Mall. Once in the Mall please follow through to the right and we are located half way up the Mall. By Aeroplane - As we have a contingent of international clientele. Humberside airport is closest but you should choose to follow the car or rail instructions should you have flown in specifically.